When you’re in the process of purchasing a new home, customizing it to reflect your unique style is perhaps one of the most exciting parts. 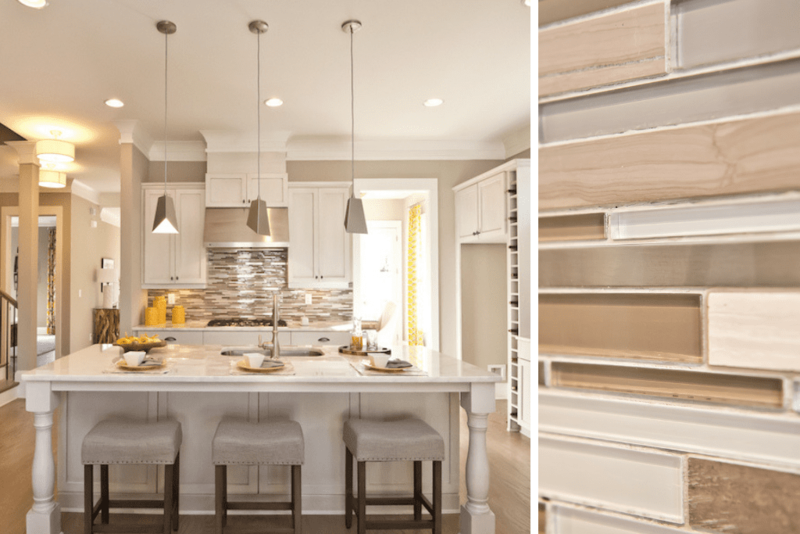 From your tile choices and flooring options to light fixtures plus everything in-between, there are countless ways for your home to reflect your personalized design. Below are four popular tile choices to consider during the design stage of your new Brock Built home. When you buy a new home in one of our Atlanta neighborhoods, you’ll have the opportunity to choose your preferences at our design center. During your appointment, our team will walk you through the process of selecting the perfect finishes for every room of your home. 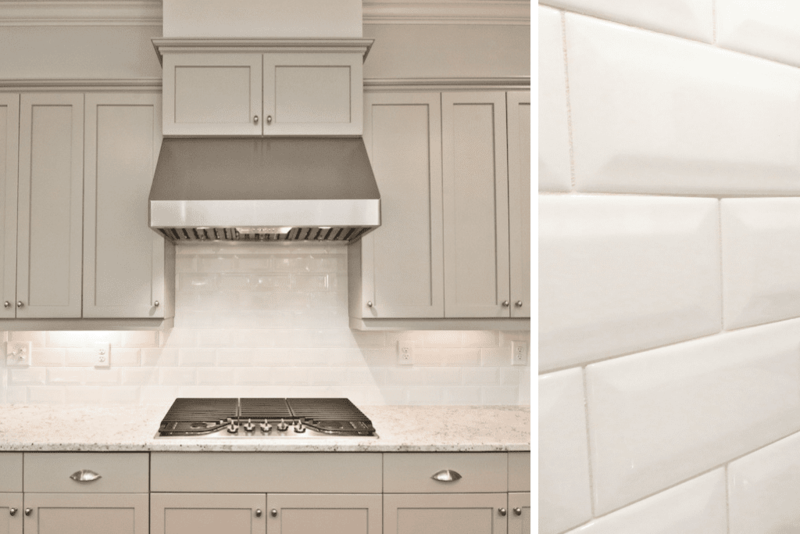 When it comes to the kitchen, a stylish backsplash is all the rage. Instead of blank walls, today’s homebuyers are on the lookout for designs that provide a more vibrant aesthetic. Like the kitchen above in Oakhurst, having a tile backsplash is a powerful way to draw attention to specific areas in your kitchen. The subtle hints of natural wood and stone textures in the stunning linear tile mosaic above uniquely balance a blend of both cool and warm tones. This gives you more options for coordinating the other fixtures and home decor you use to adorn the space. Looking to add refined hints of elegance to your home? 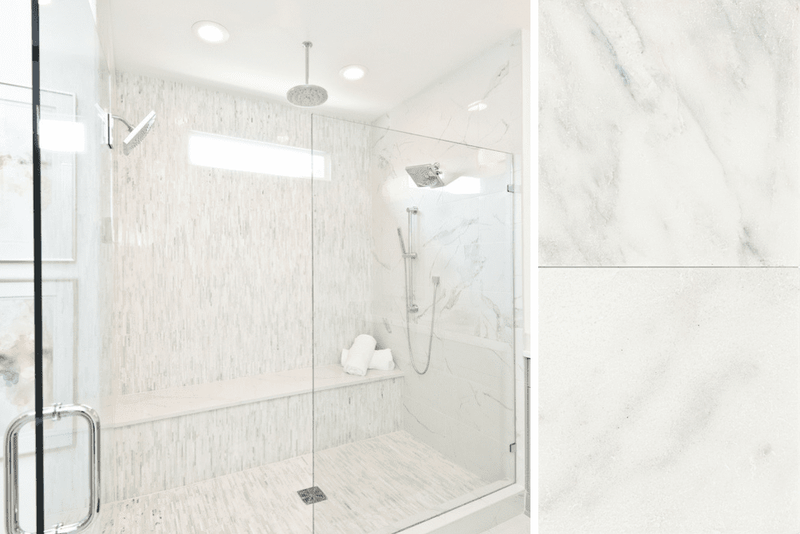 There’s no doubt that marble tile is the perfect choice to help you achieve this style. With its subtle, natural stone textures, the use of marble can add luxury appeal to any room in your home. Take the bathroom above in Westside Station. The use of marble slab accents helps to create a tranquil ambiance. Can you say personal spa? A herringbone pattern is a great option to incorporate a more modern approach to tile in your new home. Whether you choose one color palette or experiment with various color combinations, it will certainly add texture and intricacy to any space. The fireplace shown above, from our model home in West Highlands, demonstrates this well. 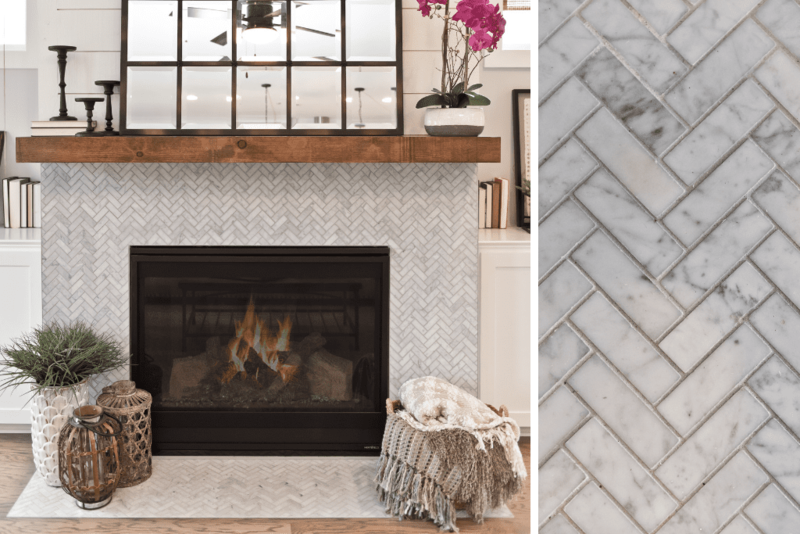 The grey marble herringbone tile accents make the fireplace the visual centerpiece of the room. It also provides a beautiful balance between the crisp white cabinetry and wood floors. Subway tile has been popular in home design for several years. It’s a classic look that provides both a clean and attractive appeal. Today’s designs are expanding the horizons for classic subway tile by utilizing tile with more depth. This gives the space character while also providing a more sophisticated appeal. As seen in the kitchen above in Mangêt, using this large format tile with subtle beveled edges is a simple way to add sophistication to your new kitchen. Inspired to start mapping our ideas for your new home? Contact us today to take the first step towards finding your new Atlanta home. We’re here to help you through the process of selecting your tile choices and much more. Looking for more design inspiration? Follow us on Pinterest where you’ll find our boards filled with pins to help you find the styles that best suit your personality.